While visiting the Innoshima Suigun Castle, I made a stop at Konrenji, a small temple at the base of the castle hill. Since my bicycle was parked at the steps leading to the temple, I decided to make a quick detour to the temple as it was right next to my bicycle anyways. The temple is not that spectacular. Since I had seen about 20 of them the day before, I was not very interested in seeing more temples. I did want to see it as it was quite large for a small area. It really doesn’t take much time to just look at the few buildings and the small area for the bell tower. If you choose to explore the graveyard, then you will need more time. 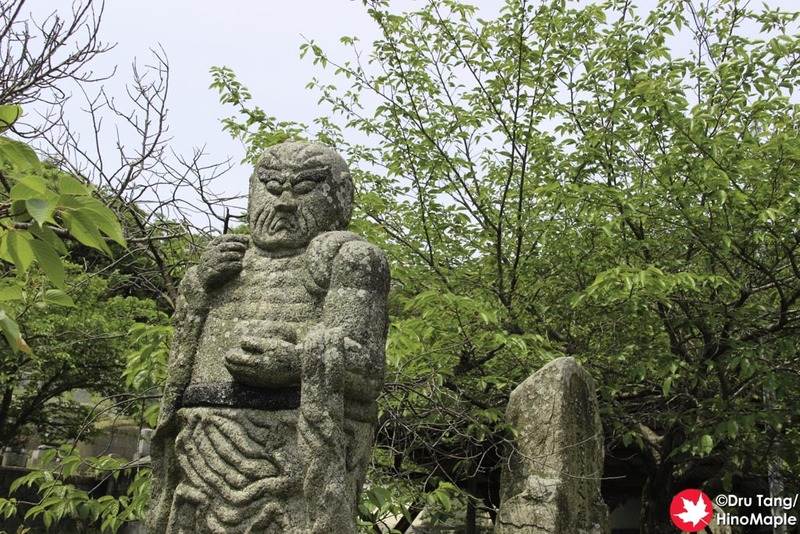 As I explored the temple, I found some Marici (Marishi-ten in Japanese) statues off to the side of the temple. 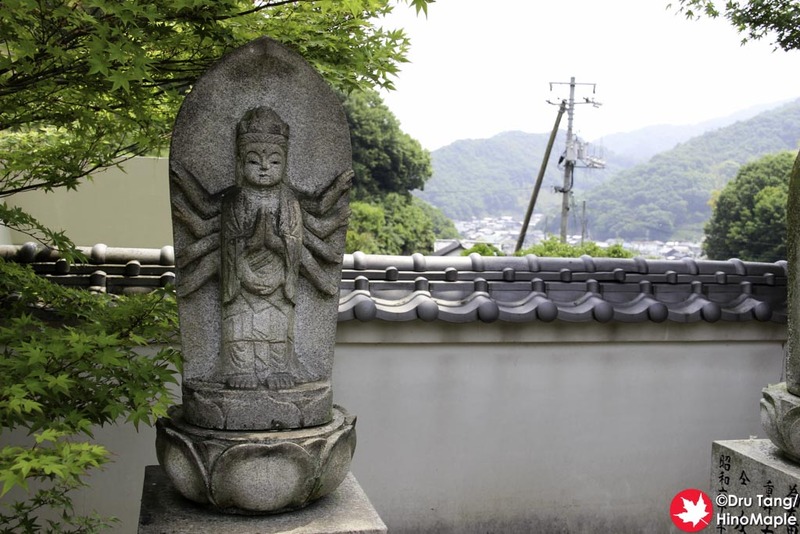 They are the size of the small jizo statues and look very similar to them. The Marici is basically the multi armed woman deity of Buddhism. While I have seen Marici in Japan, seeing such small ones was a new experience for me. 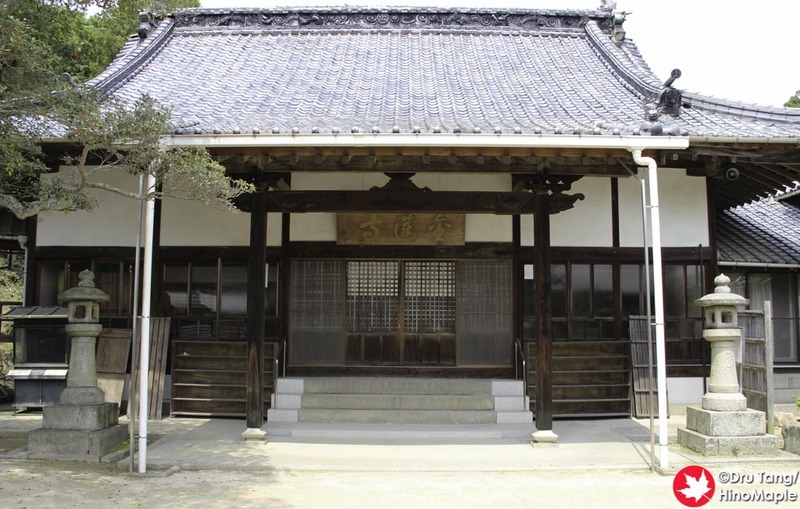 It doesn’t take a long time to visit Konrenji, so just take a few minutes to check it out. The views from Konrenji of the Innoshima Suigun Castle are very nice and the perspective is better than the parking lot. It is a very short stop before heading back on your tour of the Shimanami Kaido area as well. For me, it was a good chance to relax a little before returning to my bicycle and continuing my journey to Imabari. 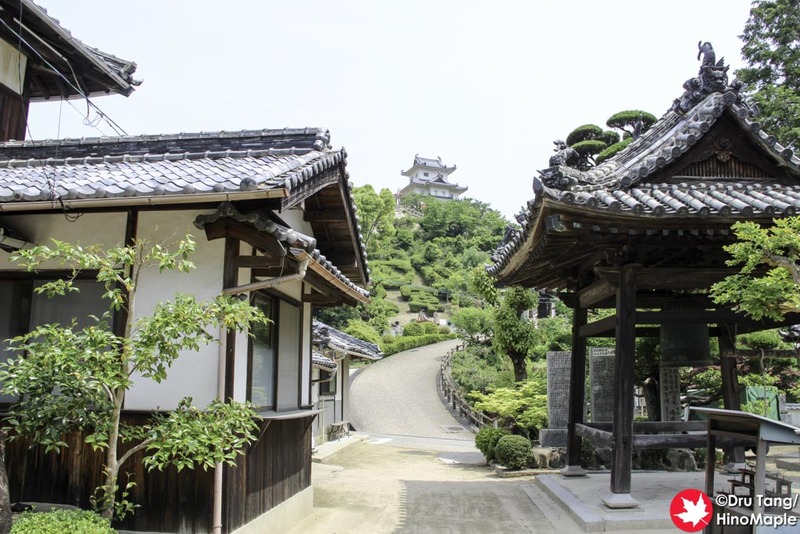 This entry was posted in Chugoku and tagged Innoshima, Innoshima Suigun Castle, japan, Konrenji, Marici, Marishi-ten, Shimanami, Shimanami Kaido, temple by Dru. Bookmark the permalink.